Color linocut on laid thin oriental paper. Signed and numbered 10/50 in pencil. 9 3/8 x 6 7/8 in. ; 23.81 x 17.46 cm. Grierson studied at Hammersmith School of Art and then at the Grovesnor School of Modern Art. 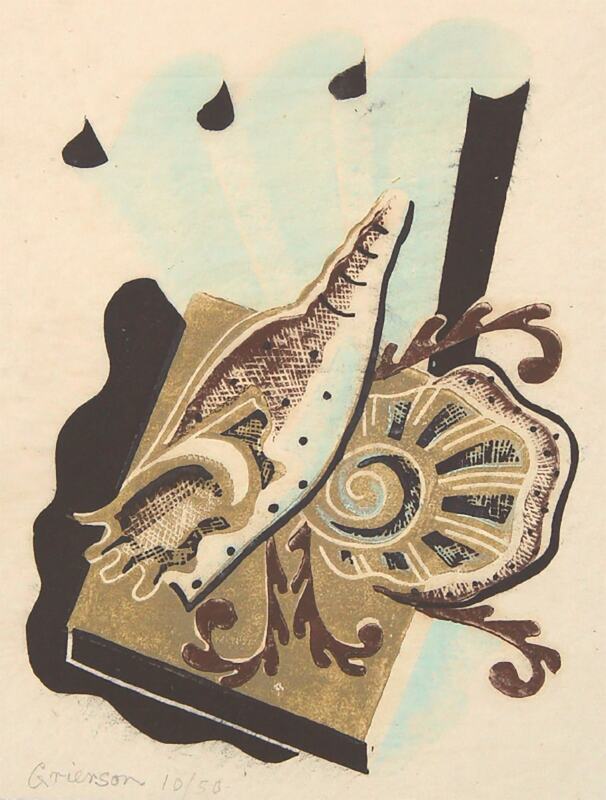 He adopted the use of color linocut, but often chose the more unusual subject of still life. Also a painter, his still lifes incorporated shells, statues and instruments in various elegant compositions.